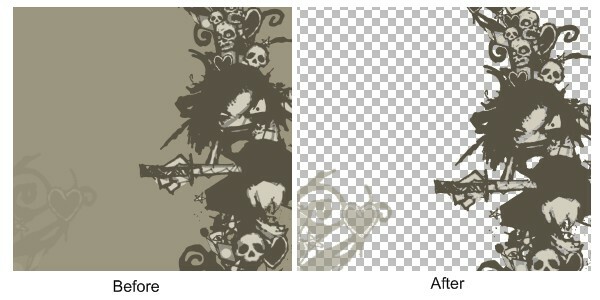 By Jotaf, July 30, 2009 in Plugins - Publishing ONLY! Right, it turns out that the original plug-in is no longer compatible with PDN. I fixed it, and also decided to make it open-source! This way I can take contributions to improve this, and maybe it will also help improve other plug-ins with this sort of alpha handling. The code is only a few lines of code long, but it uses (*gasp! *) MATH! Check it out if you're the coder type. The attached zip file includes both the DLL and source code (which you can open with CodeLab). Hi there! Long time lurker, first time poster. PDN has been my favorite graphics tool for quite some time. See, it's not enough to figure out the alpha channel. 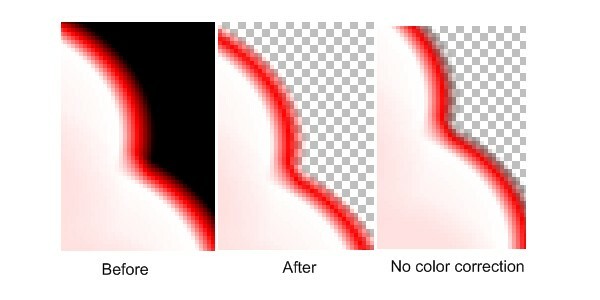 You also have to use it to change the colors so they will look good when compositing again. Otherwise, there would be a visible halo (the color of the background) around the edge. AFAIK this happens with all existing plugins to eliminate backgrounds. So, I decided to make this one. I like the idea, how could you choose the color that want to kill it, can you post some more screenshots of the plugin GUI please? Can somebody confirm if this is similar to a Color to Alpha plugin? I would suggest a slightly deferent name, as there is another plugin with that name. Right now I have two plugins with the same name. You're already using IndirectUI, so why not use the Color Wheel control instead of a dropdown? Thank you yy10 and yellowman, and everyone else for the feedback! Damn, that's unfortunate. I thought it was original enough. Any suggestions? Hm, I don't really know what you mean. It's supposed to eliminate those kinds of artifacts. If some transparent colors remain (ie, small patches of very transparent pixels), you can cut them off automatically with the second slider. 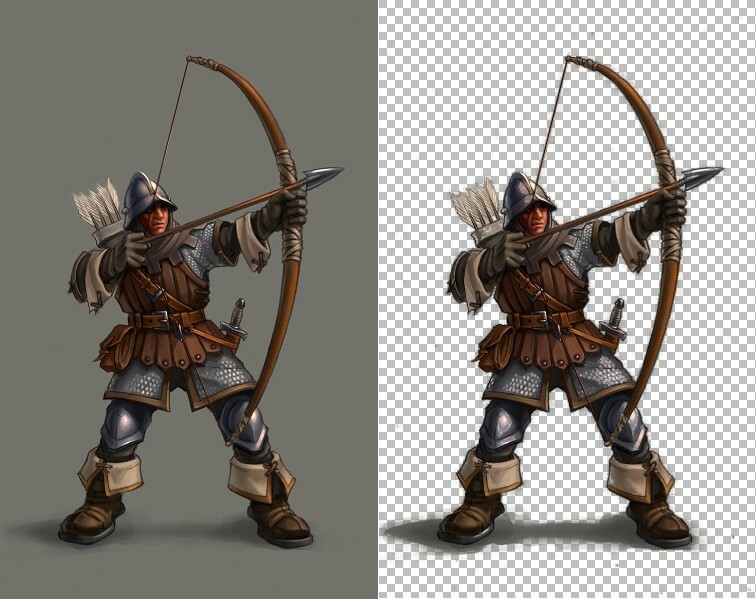 It's similar to all those plugins, the main advantage is the color correction that prettifies a lot the pixels with modified alpha. See the screenshot (the "no color correction" shot is what you'd get with other plugins). Check the Plugin Index for the current list of plugins. The index has them listed by name and author. BTW: a revision is due out this weekend. The index has them listed by name and author. Hey thanks for the tip! That would be a pimpin' name too, since we're talking about taking that poor color's life. Feel free to add any more suggestions, I'm afraid I'll be silent for about a week but when I get back I'll change the name to one of those (unless another one pops up in the meanwhile!). I like this plugin, very nice . could you post the source. please. This is basically just chroma key for any color. Why not call it Chroma Key? "Color to Alpha" was another simple suggestion. "Isolate Color" might work as we only have "Isolate Lineart", but does this plugin merely isolate or completely extinguish the color? Hmm, the plugin has to do with transparency and specific colors, Decolourize? The code is pretty small, you'll be surprised! What's really special are the formulas for correcting the color, although they're not rocket science. Is there a real interest in seeing the code? If there is, I'll post it whenever I get back to a place with net access again (summer vacations are when I get to detox myself from the internet addiction!). does this plugin merely isolate or completely extinguish the color? You should go with just Color Reaper. EER: That is a 16x16 image, thanks! Where did you get it? I found the skull online but had to re-paint over it in order to not steal it, and also because when simply resizing the original it looked funkay! Stuart: Color Reaper is a bit... fanboyish, don't you think? Like your 10-yr-old makes a drawing of a robot with missiles and calls it Color Reaper. Oh well it might be just my imagination! Grim Color Reaper is a nice name IMO, but I'm sure it's not for everyone's taste (what is?). Also, you're welcome gingerfreak, I'm glad you find it useful! EER: That is a 16x16 image, thanks! Where did you get it? I quickly sketched the "Reaper" on paper (with a pencil no less) over a 16x16 grid, then transferred that image to a 16x16 canvas in PDN. A bit of colour, antialiasing, duplicate the layer & blurred the lower layer. Flatten & save. That's it really. Please use it with my blessing if you like it. That was my intention in posting it.